Welcome to the online registration for the 2016 Ohio Microbusiness Summit: Best Practices. The Summit takes place at 100 E. Broad Street, 6th Floor, Columbus, OH 43215 on April 13th. If you have any difficulty registering, or have any questions about the summit, please contact David Foust at dfoust@ohiocdc.org. * 2. Lunch will be provided. What is your meal preference? * 3. Please provide some information about your organization and its microbusiness program. * 4. Photographic Release: I hereby grant the Ohio CDC Association permission to use my likeness in a photograph in any and all of its publications, including website entries without payment or other consideration. 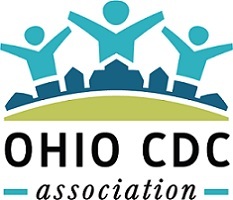 I authorize Ohio CDC Association to edit, alter, copy, exhibit, publish or distribute this photo for purposes of publicizing Ohio CDC Association programs or for any other lawful purpose related to conducting Ohio CDC’s business. In addition, I waive the right to inspect or approve the finished product, including written or electronic copy, wherein my likeness appears and I waive any rights to royalties or other compensation arising or related to the use of the photograph. I am 21 years of age and am competent to contract in my own name.